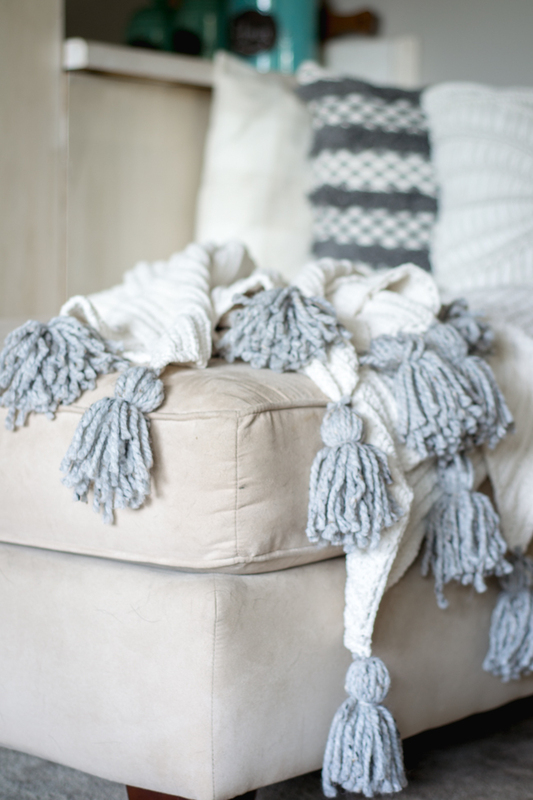 Add some cozy charm to your decor with an easy DIY no sew tassel blanket. 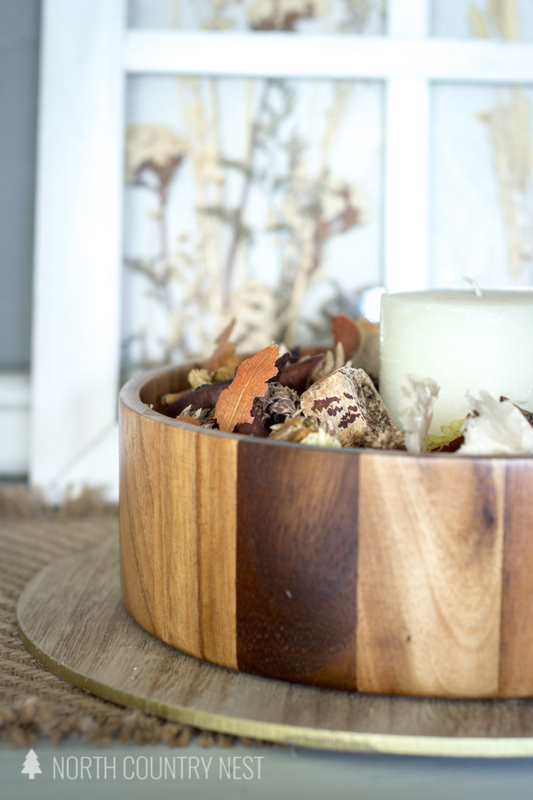 Kelly here with North Country Nest and I am so excited to share a fun project with you today – an easy DIY no sew tassel blanket. 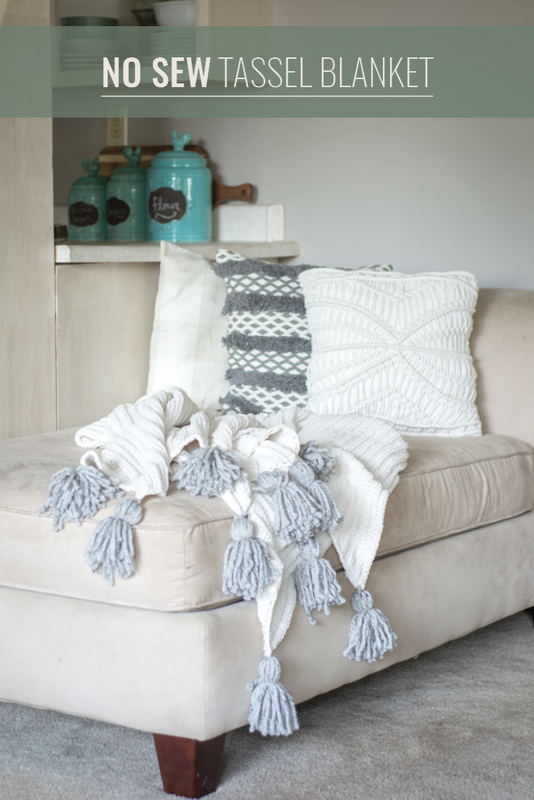 A few weeks ago, I was wasting some time on my favortie site (Pinterest, of course) and came across this adorable giant tassel blanket from Design*Sponge. 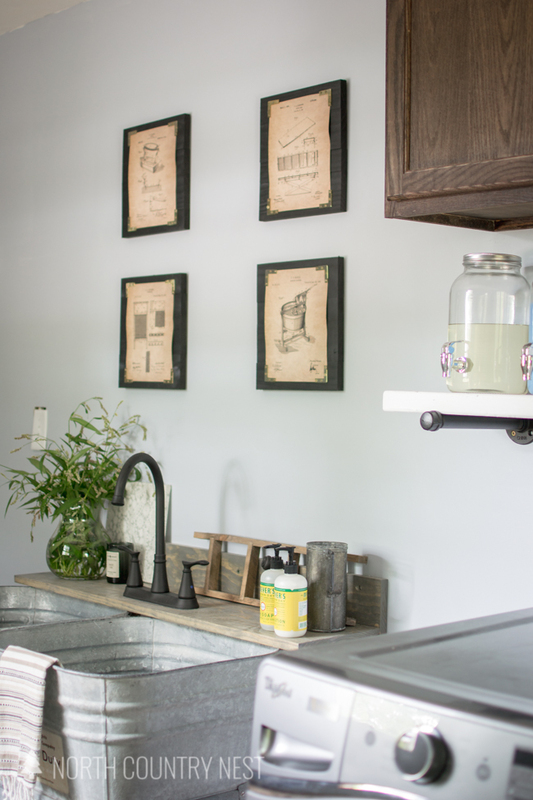 It looked so easy to make but I wanted to make it even easier and adding a ‘no-sew’ option for all of us that aren’t too keen on whipping out the sewing machine. 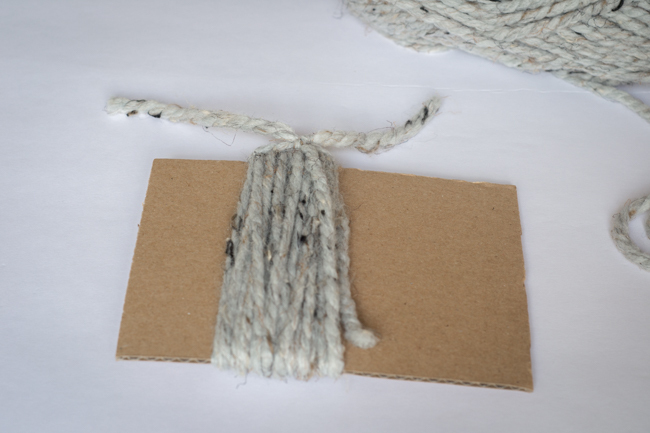 Grab your piece of cardboard, wrap the yarn around it 25 times and cut the end. 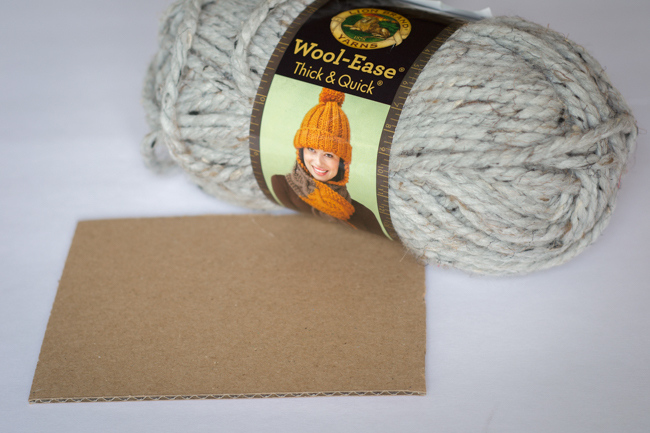 Cut anoter piece of yard about six inches long and slide it under the wrapped yarn. 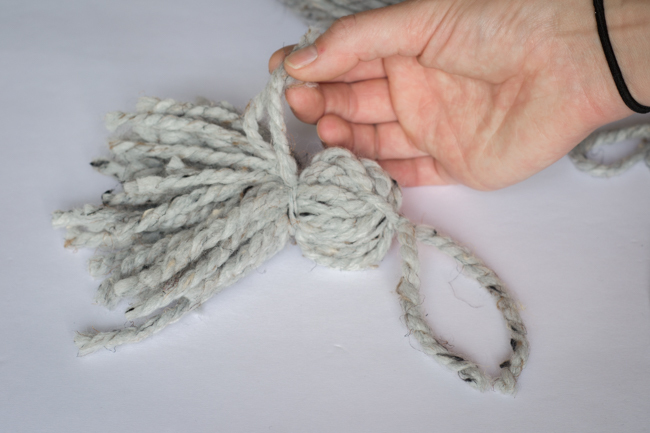 Tie two tight knots at the top – this will be the sting you use to tie the tassel to the blanket. Cut the other end of yarn evenly across the bottom. 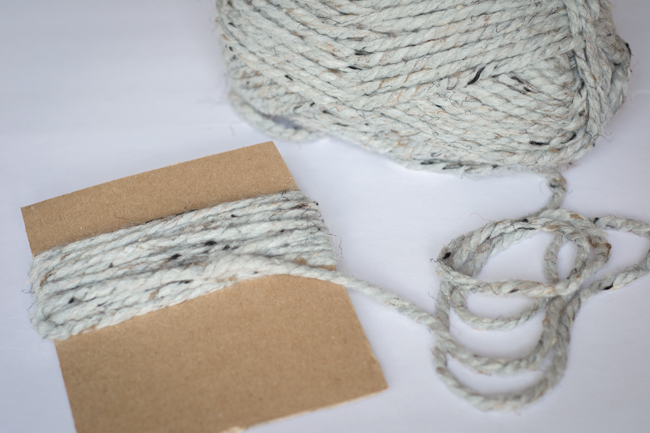 To make the tassle bump, cut an eight(ish) inch piece of yarn and wrap it around the entire chunk of yarn. 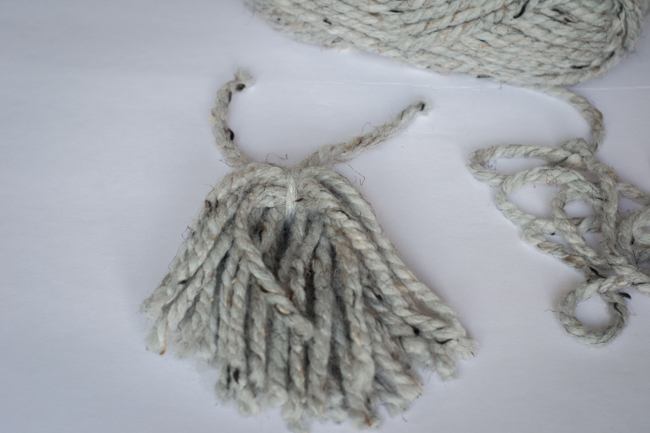 Tie two tight knots to secure it in place and tuck the excess string into the rest of the tassel. 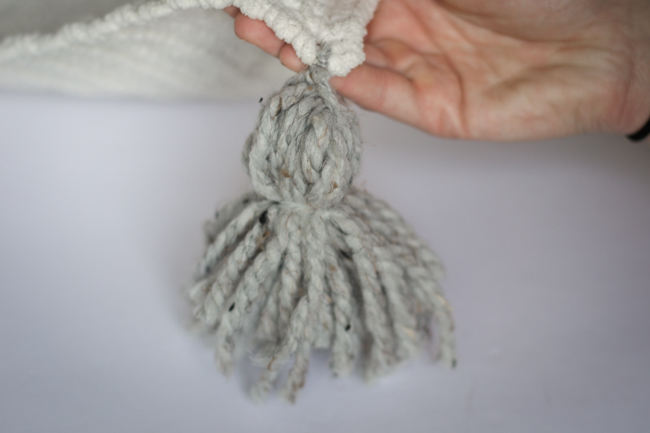 Repeat this tassel-making process nine more times but keep in mind, the amount of tassels you want will vary depending on the size of your blanket. We went with five on each of the shorter sides of the blanket. 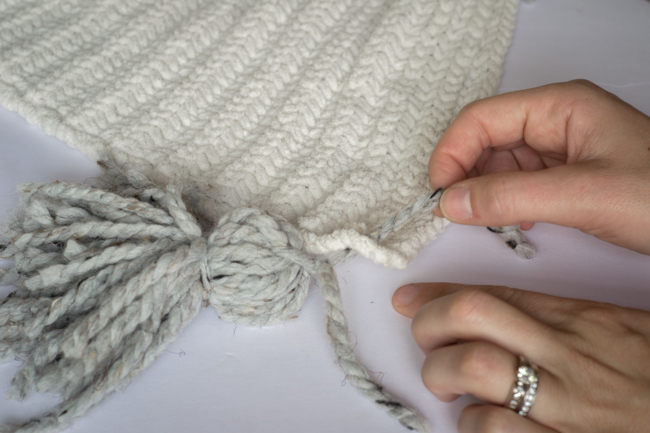 Grab your blanket and find a hole into the bottom corner of your blanket (this is why it’s best to use a crochet- or knit-style throw). 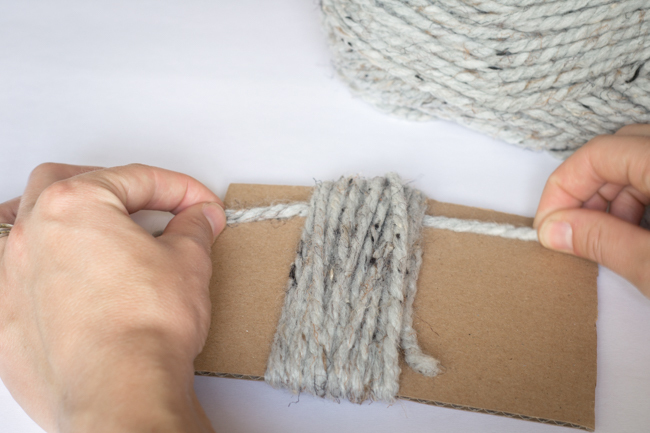 Push one of the top strings through the hole and tie several knots to secure it to the blanket. OMG, love this. PINNED for sure. 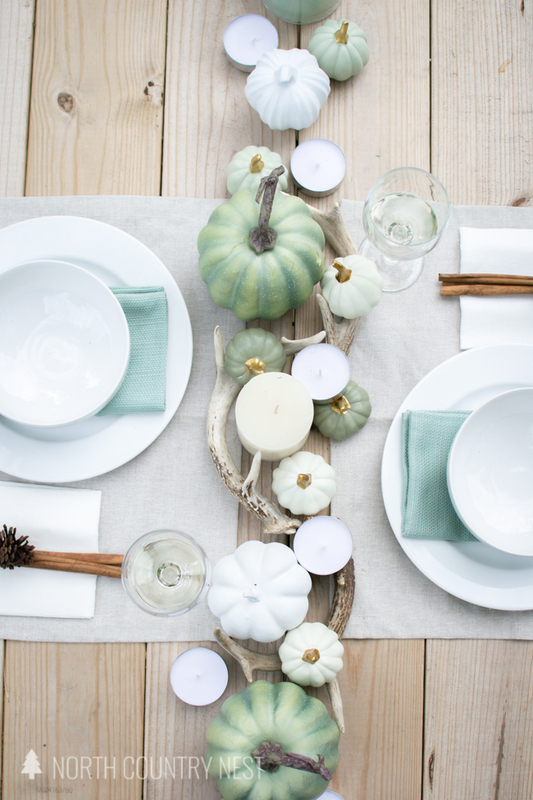 Will have to copy this!